When the sky bursts with the colors of fire and brimstone, it can overwhelm the senses, and eventually one's emotions. It helps to have a friend or two by your side, if only to share your awe and disbelief. 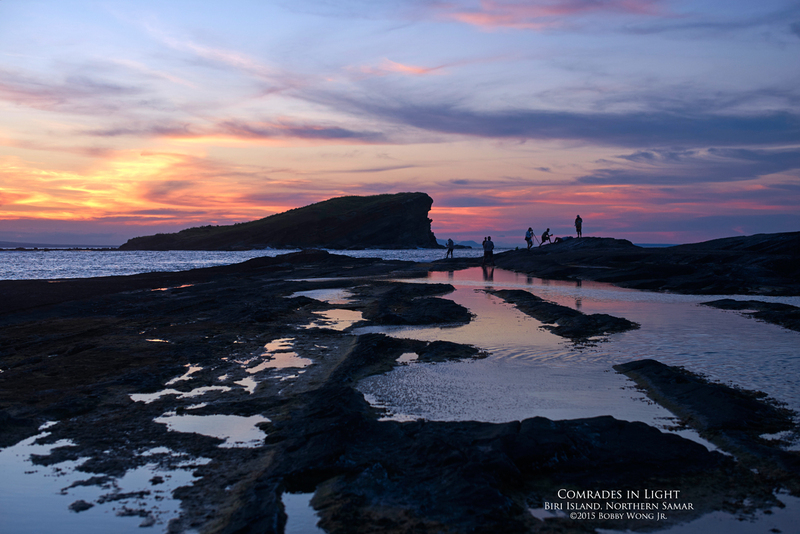 It was just like that while exploring the unusual rock formations on Biri Island in Northern Samar. Wandering across our country for the last 10 years... experiencing places unseen and meeting people unknown... had been one of the greatest gifts of a lifetime. I couldn't have enjoyed it more, or learned as much, without wanderlust friends in tow. Our trips were opportunities to photograph the beauty of our country... yet somehow... like the flap of a butterfly's wing or the expanding ripples in a pond... I suspect we all knew these trips were more about just taking pictures. To them I dedicate today's postcard. Enjoy.